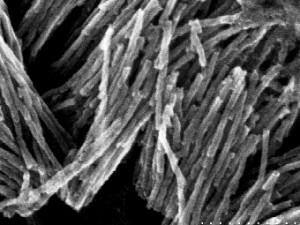 Nanoporous Anodic Aluminum Oxide or AAO enables a low-cost bottom-up approach for templated synthesis of uniform and aligned arrays of nanostructures (nanowires, nanotubes, nanodots, etc) that can be integrated into functional devices. 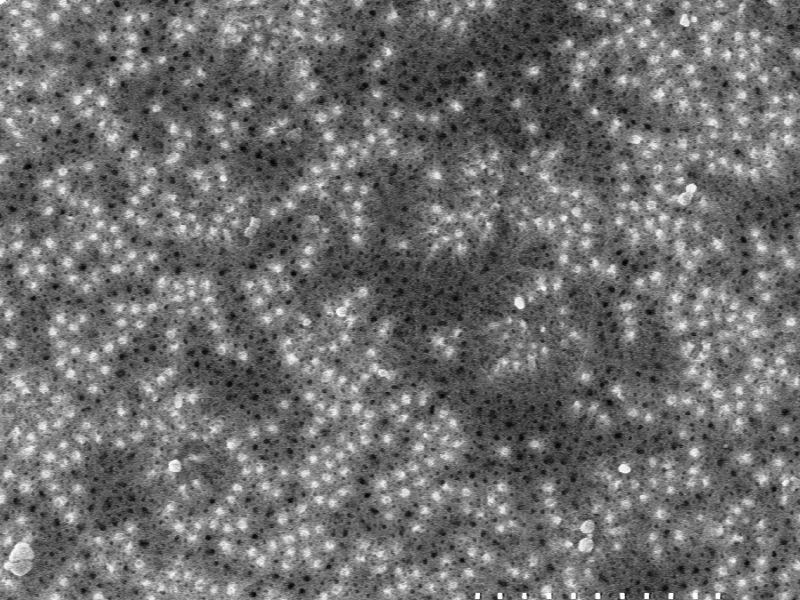 variety of shapes, such as nanodots, nanotubes, nanowires, etc. compatibility with micromachining and MEMS. Deposition of materials inside the pores of AAO was discovered in 1980-s and publicized as a bottom-up approach for templated nanofabrication in the 1990-s. This method could be implemented in a conventional wet lab with relatively low entry barrier in terms of time and cost. It has gained significant recognition among many materials scientists. 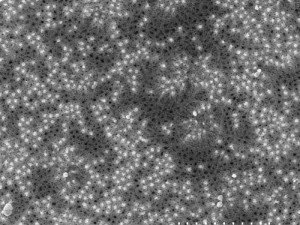 A large selection of AAO nanotemplates and accessories for templated nanofabrication is available as a part of InRedox’ Nanofabrication Toolbox. 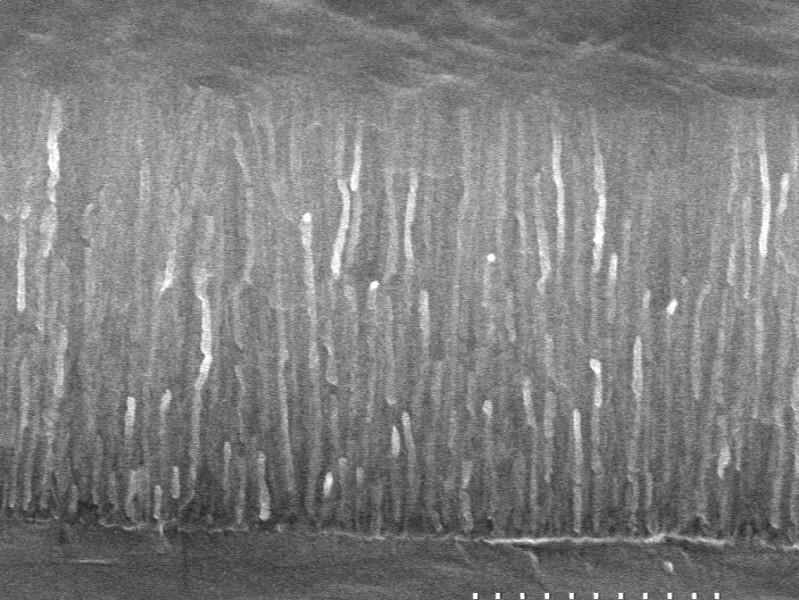 Electron microscope images of templated nanowire arrays prepared by electrochemical deposition. Cross-section of a cleaved AAO nanotemplate with silver nanowires. 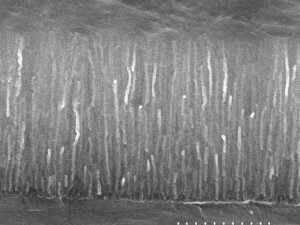 Tips of silver nanowires exposed by polishing the surface of AAO nanotemplate. Templated II-VI semiconductor nanowires exposed by selectively etching AAO nanotemplate.